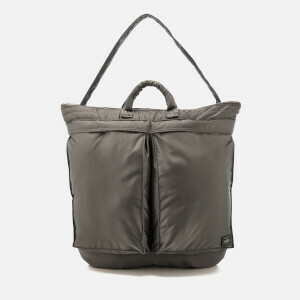 Established in 1962, Japanese brand Porter-Yoshida creates luggage and accessories using high quality materials. Since 1935 when Kichizo Yoshida founded parent company Yoshida & Co., the company has stuck to its motto ‘every passion into one stitch’, with skilled craftsmen creating handmade durable and stylish bags, briefcases and holdalls. The Porter-Yoshida collection is made up of nylon bags and accessories that are produced in Japan with a utilitarian aesthetic; all products designed to last a lifetime. Shop Porter-Yoshida bags on Coggles with free UK and EU delivery available.